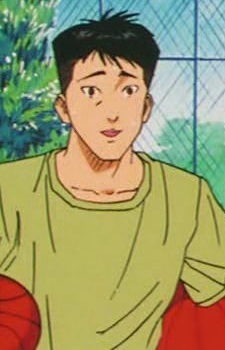 Yasuharu Yasuda is quiet and comes across as shy or nervous most of the time, although he is brave and willing to put himself in dangerous positions to stand up for his teammates, as shown in the fight between the team and Mitsui and Tetsuo when they were trying to get the basketball team banned. Due to his calm character and personality he has the ability to change and slow the pace of the game. The example of this is when he was put into the game against Toyotama in place of Sakuragi after the team had become flustered and began making poor decisions as a result of Toyotama's style of play. Yasuda successfully changed the flow of the game in Shohoku's favour.